If you are looking forward to filing a business tax return extension, IRS tax form 7004 is the form that you must use for this purpose. Filing this form gives you an automatic time extension for filing your business tax returns for a multiple member LLC, a corporation, an S corporation or for a partnership. However, according to the IRS, form 7004 in no ways extends the deadline for the tax payments. The taxes need to be paid within the tax return due date even if an extension application has been filed. In this case, you have to estimate in the best way possible since underestimating can result in penalties and fines. What is Form 7004 Due Date? Form 7004 due date is actually based on the deadline of original filing of tax returns. This can be explained by an example. Suppose that a particular business is required to file annual tax returns on or before 17th march, the deadline for tax extension filing for the business would be 17th march. IRS tax form 7004 can conveniently be used for requesting additional time for filing the forms. The IRS generally grants an extended time of five months for filing the forms if the form 7004 is filled in and submitted on time and accurately by a trust, partnership, multi-member LLC or a non-bankruptcy estate. There are other businesses that can make use of form 7004 for obtaining a filing extension of six months. It is quite easy to get completely overwhelmed in matters pertaining to tax payments and especially when getting Federal tax extensions. 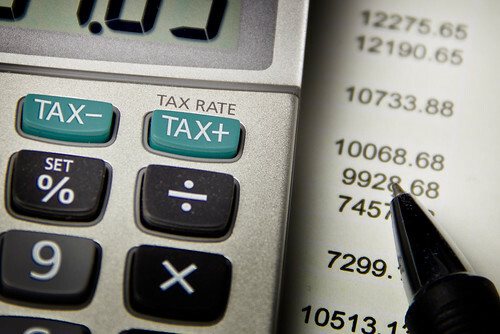 However, it is important to have a clear understanding of the entire tax extension procedure. It is necessary for the corporations to file their tax extension applications with the original date of their tax returns and the deadline for the corporations is 17th March. The corporations must file their tax extensions on or before 17th March if they want to avoid the late fees or the penalties. The IRS has come up with a completely different deadline for the filing of tax extensions by trusts, partnerships, LLCs and estates. 15th April is the deadline for filing the tax extensions by these businesses. As a tax payer, when you e-file your tax extension request by filling out form 7004, you must be aware of receiving a confirmation email from the IRS informing you about the approval of the business tax extension application. The tax extensions which are filed manually do not get any confirmation from the IRS regarding the approval of the applications. Therefore e-filing is the procedure that needs to be chosen as this gives you peace of mind.